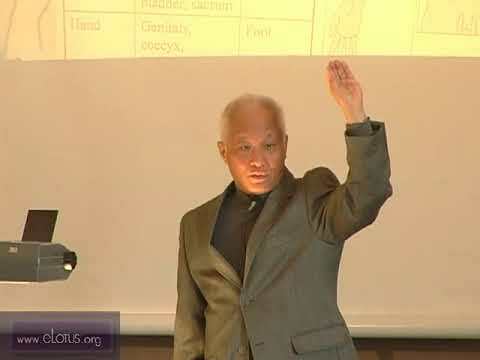 In honor of the legendary Dr. Richard Tan, this is a rebroadcast from December 5, 2010. Dr. Richard Tan is the author of Dr. Tan's Internal Showcase: The Global Balance Method, Acupuncture 1,2,3, Twelve and Twelve in Acupuncture, Twenty-Four More in Acupuncture, Dr. Tan's Strategy of Twelve Magical Points, and Shower of Jewels. As the inventor of the Balance Method, the late Dr. Tan has effectively helped thousands of patients with their pain disorders. The Balance Method is a sequence of acupuncture systems based on the concept of balancing meridians to heal the body. The Balance Method is synonymous to instant clinical efficacy and is based on Traditional Chinese Medicine (TCM) meridian theory and arises from the I Ching. In this exciting course, Dr. Tan extends his teaching of the Balance Method to include explanations and treatments for traumas and sports injuries. Dr. Tan shares how he uses his five systems of the Balance Method to uncover the magic healing power of acupuncture for all types of traumas and sports injuries. He further examines concepts of distal needling and same-side vs. opposite-side needling methods. Finally, he gives precise instructions on how to diagnose trauma and sports injury pain, where to needle based on the diagnosis, and needling protocols for the greatest efficacy. He also shares his clinical experience, and case studies proving the overwhelming effectiveness of simple point combinations. There will be a demonstration at the end of the course.